Welcome to the News Feed! Here I regularly post news about Steve Jobs, which are automatically cross-posted on the Facebook page and Twitter account. Follow us on your favorite platform! Jobs said it wouldn’t make sense for a person to try to hijack his own plane, according to the report. He then told officials he would never visit Japan again, the magazine reported. Steve did visit Japan this summer for a vacation in Kyoto, but the incidents described at the airport are pure fiction. Steve had a great time and hopes to visit Japan again soon. I’d find it hard to believe that Steve could have said anything close to “I will never visit Japan again”. Remember he originally intended to spend his life a reclusive Japanese Zen monk. UPDATE: some 3D agency made a short animation of what the fake encounter could have looked like… Enjoy. Steve Jobs, Steve Jobs, Steve Jobs: as the name of the blog indicates, its main and perhaps only topic is Steve Jobs. That being said, I obviously keep the liberty to divert slightly from that topic from time to time, and I don’t know how the blog’s going to evolve, but for now this is what it’s all about. Steve Jobs news: I will do the job of aggregating and filering out information from various Mac, tech, entertainment (remember Pixar/Disney, folks), and business websites dealing with the iLeader and post them here. Steve Jobs trivia: cryptic emails, one-to-one encounters and the likes fall into that category – less serious SJ news, so to speak. Parodies, jokes, vintage Fake Steve posts and other funny stuff will also be adressed. A new blog is born : all things Steve Jobs opens! I was having a difficult time keeping the website up to date or, to be more precise, keeping the Biography up to date. As you all know, every 6 months or so, Steve takes the stage and announces a revolutionary or at least major product which has a lasting impact on one or more industries. All about Steve Jobs.com being a static website, the bio is pretty much like a book I have to rewrite after every such event. This tiresome process is now over: the bio will deal with pre-2010 events (stopping at the iPad intro), and this blog with the news. 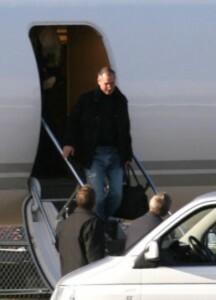 allaboutstevejobs.com is open => go check it out!